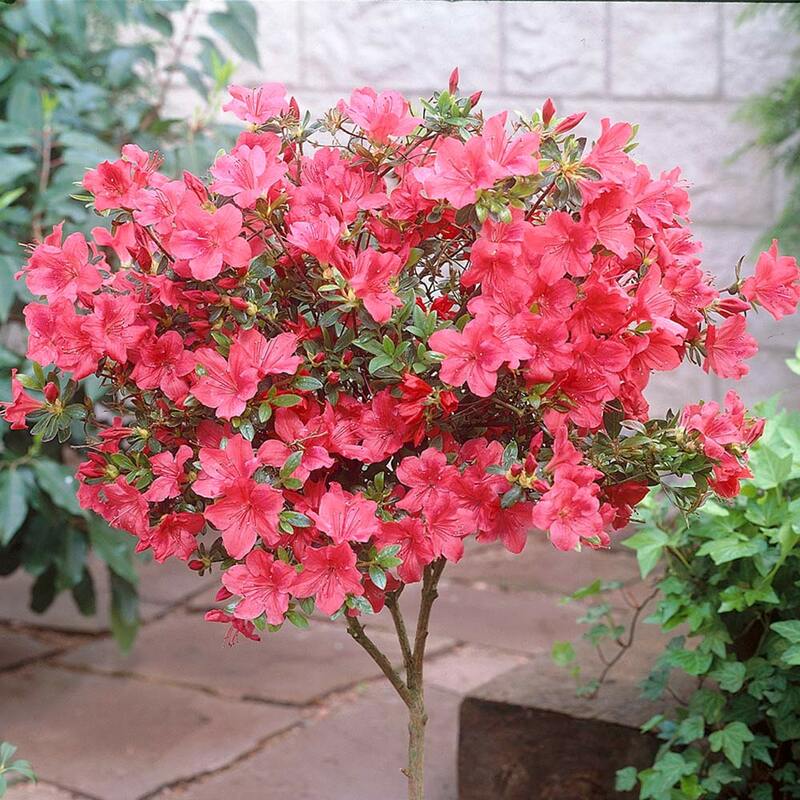 These beautiful Japanese Azaleas are a real treat in the garden. 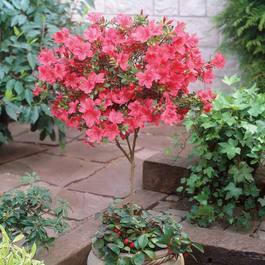 Each shrub will form a large bushy yet remain compact and controllable. The attractive evergreen leaves bring all round interest with the added attraction of the flowers which bust into a riot of colour in the spring. 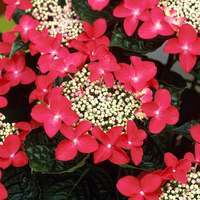 The pretty bright red funnel shaped blooms will look stunning placed or planted above glossy green foliage as illustrated. Grafted on to a 40cm+ stem. Two litre pot plants supplied. Plant in fertile, well drained and light/acidic soil. Grafted on to a 40cm+ stem. 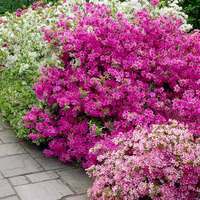 Each shrub will form a large bushy head yet will remain compact and controllable. 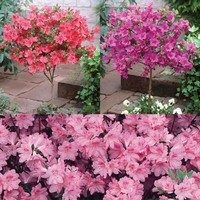 Two litre pot plants supplied. 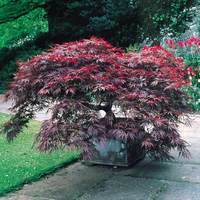 Half Standard Shrub - Prune to keep shape.